Sinclair ZX Spectrum Cass. published 34 years ago by Palace Soft. 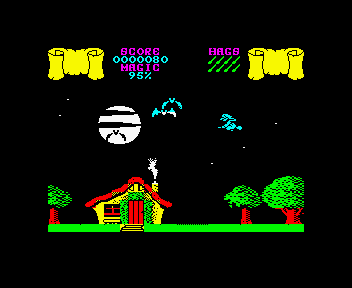 Cauldron © 1985 Palace Software. This game contained "The Evil Dead" as a bonus game on the B-Side.